Adventure film shorts and features were some of the most popular fare at the triple-bill movie theatres of post-Depression America. 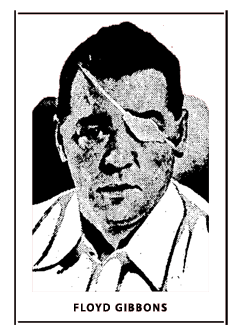 The adventures of Frank Buck, Crash Corrigan, Tarzan, Jungle Jim and Clyde Beatty could be found over Radio, in film serials, and on the earliest Television sets. Stirring pulp adventure novels from the turn of the century on through the 1930s and 1940s fired the imagination of would-be adventurers--young and old--throughout most of the civilized world. Sitting atop the pecking order of world adventurers, the various Adventurers Clubs, Explorers Clubs, and Geographic Societies of England, Germany, France, the Orient, and America presided over their respective nations' most intrepid and herioc adventurers. Most of the organized clubs went to great lengths to compete for the first reports of these world adventurers within days or weeks of completing their independent trimphs of derring-do. Indeed, several of those clubs funded some of the more challenging adventures--and adventurers--of the era. Fiction novels were famous for citing the underwriting of one or more Adventurers Clubs as the framework behind novels such as 20,000 Leagues Under the Sea, Around The World in Eighty Days, and Journey to The Center of The Earth. The organized adventurers' clubs, in addition to underwriting adventures of their own, provided venues throughout the world for vetting--and exploiting--the more important accomplishments and discoveries of their era. and braving--and conquering--the mysteries of the Seven Seas. More importantly to potential sponsors and networks alike, this was highly intoxicating fare for the pre-Television adventure fans throughout the world. On the big screen, 'adventurers' as unlikely as Laurel and Hardy, The Marx Brothers, Charlie Chaplin, The Three Stooges, and Harold Lloyd, among many others, continued to strike 'viewer gold' with even the most unlikely adventures. And of course the most thrilling adventure films of the era--Trader Horn and King Kong--riveted escapist America to their seats in movie palaces across the country. The concept of 'creating a buzz' over a commodity, a hot stock, a movement, political figure, or Film starlet wasn't nearly as sophisticated in the 1930s as it's become today, but it was by no means unsophisticated. Some of the greatest promoters of the era wrote detailed, highly scientific volumes about how to create interest in virtually anything that might capture the imagination of the public. The Transcription Corporation of America (Transco) created an estimated fifty-two installments of their program titled, The World Adventurers Club. 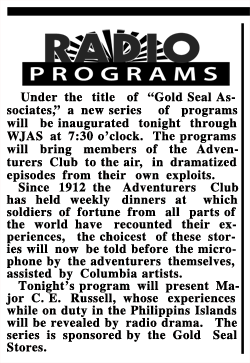 The first broadcasts of The World Adventurers Club appear to have aired on the East Coast as early as June of 1930, on the West Coast as early as 1933, and throughout the world as late as 1937-1939, variously retitled or repackaged Strange Adventures or Strange Adventures In Strange Lands. 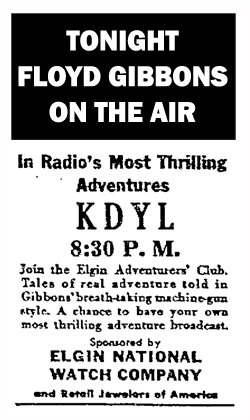 Through either serendipity or by design, noted adventurer, war correspondent, bombast, and international adventure chronicler, Floyd Gibbons, aired his own Adventurers' Club over NBC in early 1932. The Elgin Watch Company-sponsored half-hour format invited listeners to send in their own adventures and Gibbons would select the most interesting for his weekly program. He later began syndicating a weekly feature in newspapers throughout the country titled, The World Adventurers Club. Each syndicated supplement would highlight a specific adventure or adventurer and their exploits. 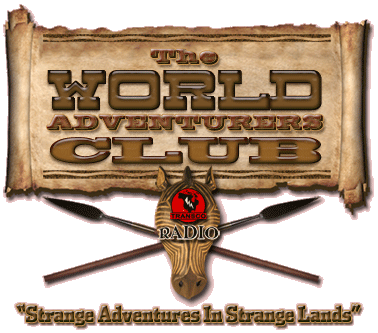 Many of the more popular adventures were the same adventures syndicated in the 1930s Radio feature initially titled, The World Adventurers Club: Strange Adventures In Strange Lands. 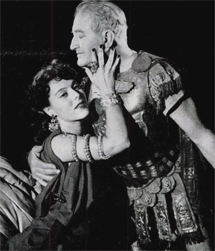 Veola Vonn and Francis X Bushman from LIFE Magazine January 1948. Hanley Stafford was married to Veola Vonn until his death in 1968. She subsequently married another Radio legend Frank Nelson. 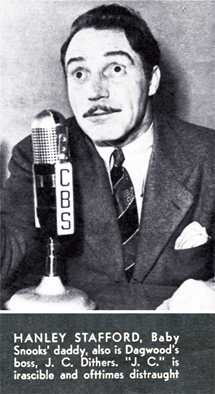 Hanley Stafford was involved in American network Radio from it's very inception as a viable commercial medium. From 1928 until his death in 1969, Hanley Stafford lived breathed and slept American Radio in one form or another. Indeed, long after the Golden Age of Radio had all but waned permanently, Hanley Stafford kept his hand in Radio in one fashion or another, in spite of his increasing success in Film and Television. One of Radio's most versatile--and ubiquitous--voices, there were precious few genuinely popular Radio programs during the entire thirty year span of The Golden Age of Radio that didn't feature Hanley Stafford's voice talent in some fashion or another. Indeed, though most often cited for his long association with Baby Snooks, Hanley Stafford was even more regularly involved with many of the action/adventure programs from the earliest days of network Radio. 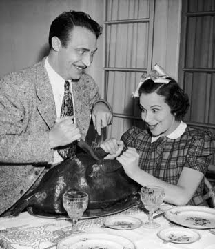 Programs such as The Count of Monte Cristo, The World Adventurers' Club, The Last of The Mohicans, Tarzan, The Origin of Superstition, Chandu the Magician, Calling All Cars, Flash Gordon, and Speed Gibson, all featured Hanley Stafford's voice in lead and recurring supporting roles for a full ten years before his notable success in both Baby Snooks and Blondie. From Lord Tennington in Tarzan (1933) t0 heart-tugging characterizations in The Court of Human Relations (1936) to classical Shakespearan roles opposite John Barrymore in Barrymore's Streamlined Shakespeare (1937) to his signature roles in both Baby Snooks and Blondie, Hanley Stafford was never an actor that could be pinned down, nor typecast. That was his genius. Stafford was also a member of the famous cast of The Cinnamon Bear (1937), virtually all of whom went onto extraordinary individual successes in their own careers. Stafford portrayed as many as five different characters in The Cinnamon Bear, in yet another display of his extraordinaty versatility. 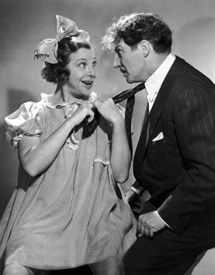 Stafford would often portray as many as five or six different characters in a radioplay, while either uncredited or taking credit for only one character. From comedy to action to adventure to who-dun-its to classic drama, Hanley Stafford became one of Radio's most time-tested, reliable, and ubiquitous voices in Radio. Indeed, Hanley Stafford's Radio career alone shows a versatility and breadth of character roles unmatched by all but a handful of Radio--and Film--history's most versatile talents. But Stafford later built on that extrordinary Radio success with infrequent, though memorable, performances in Television and Film. Credited with an estimated 7,000+ appearances over Radio, it goes without saying that Hanley Stafford was one of The Golden Age of Radio's giants. Some might say Stafford stayed too long in Radio. He was clearly attractive enough to pursue Television even further than he had. But one must also consider what it often meant to a true Radioman to be a Radioman throughout the Golden Age of Radio. And Hanley Stafford was unquestionably a Radioman, from virtually the moment he gained his United States citizenship, until the moment he passed away from a heart attack. Stafford put his heart and soul into Radio and it showed. Indeed, with literally thousands of surviving representative recordings of his appearances, he might arguably be acquiring new Radio fans in greater numbers today than he ever had during The Golden Age of Radio. A more than fitting epitaph to a life devoted to versatile, quality family entertainment. Hanley Stafford, a veteran character actor in radio and films, died at his home Monday at 69. For a decade he played Daddy to Fanny Brice as Baby Snooks on radio. Stafford also carried the role of Mr. Dithers Dagwood's boss, on the Blondie radio show. Born Alfred John Austin, the actor adopted the name of his birthplace  Hanley, Staffordshire, England. He became a naturalized American in 1926. When the two radio shows ended after World War II, Stafford acted in motion pictures. Survivors include his widow, former radio singer and atitress Viola Vonn; a son Graham and a sister. Private funeral services are planned.